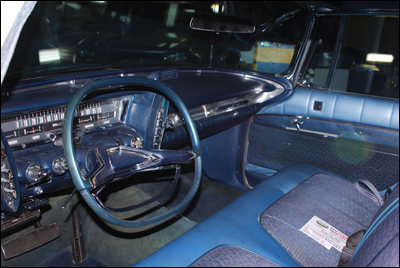 413 Cubic inch V8, 350 horsepower, push button torqueflite transmission, factory air, power windows and seat, 129 inch wheelbase, 4620 pounds. This was a limited production luxury car, with a total of only 3587 built. 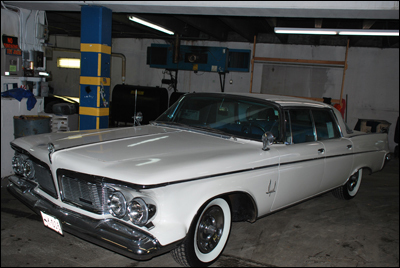 This 1962 Imperial custom, vehicle identification number 9123135582, is mostly original. It is a Florida car with no rust or body damage ever. Always garaged and carefully maintained. Owners manual and service and repair records are in the glove box. All components are in working order. The odometer reading is correct. 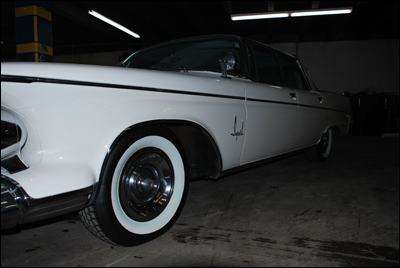 With free standing headlights, bomb sight tail lights, and flowing, sweeping lines, the 1962 Imperial is one of the most beautiful luxury cars ever built. Proudly owned and displayed by Swope’s Cars of Yesteryear, Elizabethtown, Kentucky.